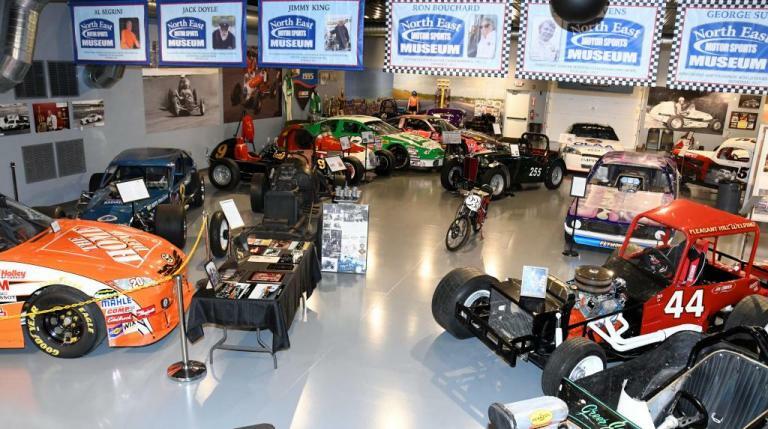 If you can’t attend Daytona Speedweeks but want racing in February, come to the North East Motor Sports Museum (922 Route 106, Loudon, NH) on Saturday, February 16 for our Daytona Party. It will take place from noon to the end of the day’s Xfinity Series Daytona 300 which will be shown on our televisions. The Daytona Party is free to museum members and kids under 12. Non-members can enjoy the party and museum with an $8 online ticket or $10 at the door. The museum’s VP Bob Bianchi has built a four-lane 1/24th scale slot car oval track which will be unveiled at the Daytona Party. Guests are welcome to run the track’s cars. The new track is a permanent addition to the museum. Daytona Party attendees can also drive the museum’s new iRacing.com simulator. Try your skill on the high banks of Daytona or drive a modified at New Hampshire Motor Speedway. The full iRacing compliment of tracks, cars and all of its series are available. New to the museum floor is the ‘60s era Gavin Couper cut-down supermodified. This car, along with a pair of 1950s big car racers, are easily accessible to fans who want to climb in to experience the feel of a motorsports bygone era. The party will include free food, beverages and raffle prizes. Sit back, relax, talk racing and stay awhile. A New Hampshire Motor Speedway representative will be on site to answer your questions about the upcoming 2019 racing season as well. So, please join us on Saturday, February 16 to break the ice, talk racing with fellow race fans and enjoy the 30-plus cars and hundreds of racing related artifacts on display. Tickets for the Daytona Party can be purchased at the door or online below. Saturday, February 16th from 12 noon until the race is over. $8 online / $10 at the door. Please note: There will not be any physical tickets. Your name will be at the door.